← Red Planet Radio is Live! 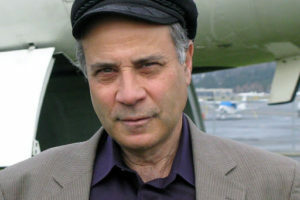 Dr. Zubrin was the driving force behind Mars Direct, a proposal intended to produce significant reductions in the cost and complexity of such a mission. The key idea was to use the Martian atmosphere to produce oxygen, water, and rocket propellant for the surface stay and return journey. He is the President of the Mars Society and Pioneer Astronautics and Pioneer Energy. He has developed a number of concepts for space propulsion and exploration, and is the author of over 200 technical and non-technical papers and five books. Please subscribe, listen, rate and review on iTunes! Dr. Zubrin, this a good opportunity for you and the world. Good interview, but when was this recorded? The Martian came out a solid year ago. Thanks for listening! This episode was recorded in September 2015, but it had such great content (and was 99% still timely, we posted it). Dr. Zubrin will have a new interview soon.